Possible to affix seals on each individual bag that are printed with a personalized logo (extra charges will apply). 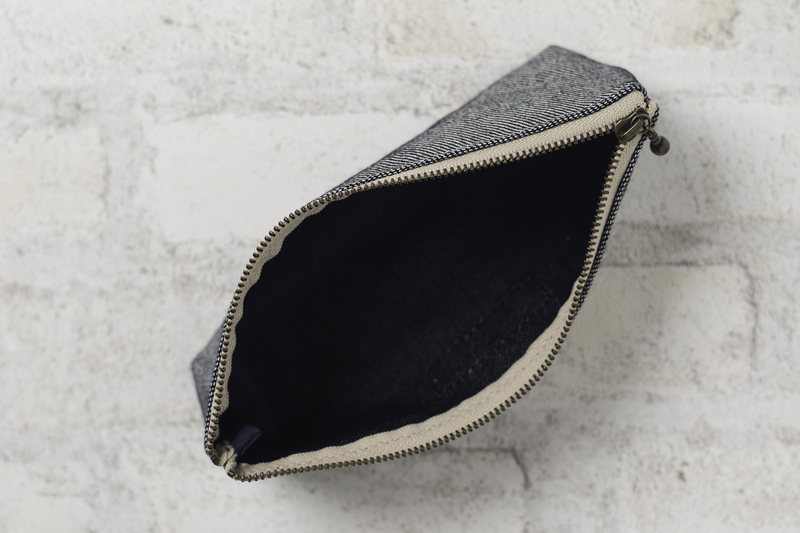 Denim fabric made using fibers impregnated with bagasse extracted from Okinawan sugarcane result in a product known as shima (island) denim. 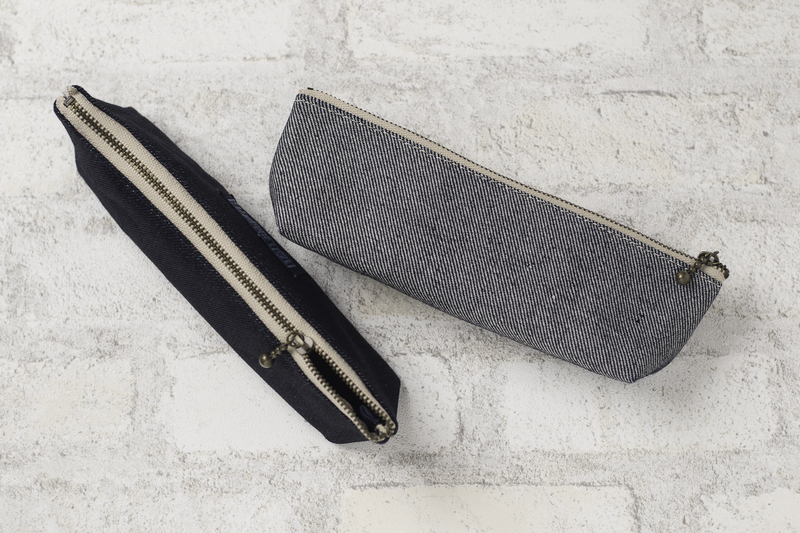 These attractive pen cases are made using this fabric. 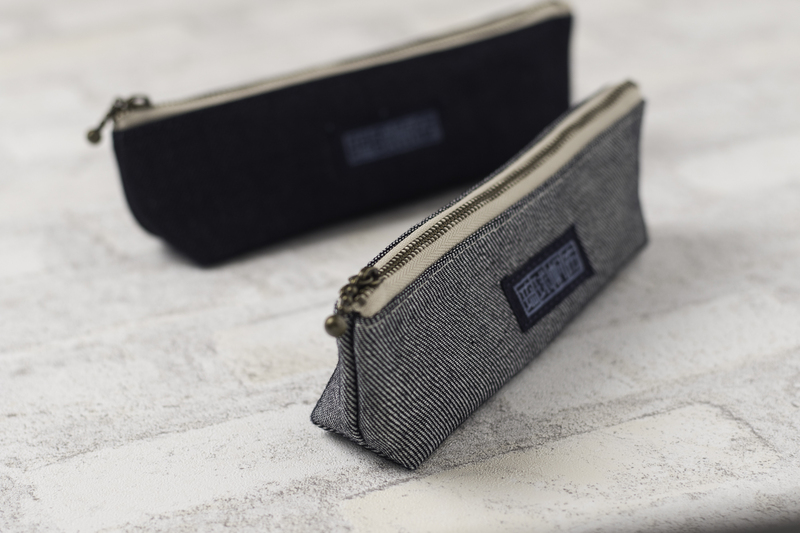 Two types of cases are available, one displaying the front and the other the rear side of the fabric.